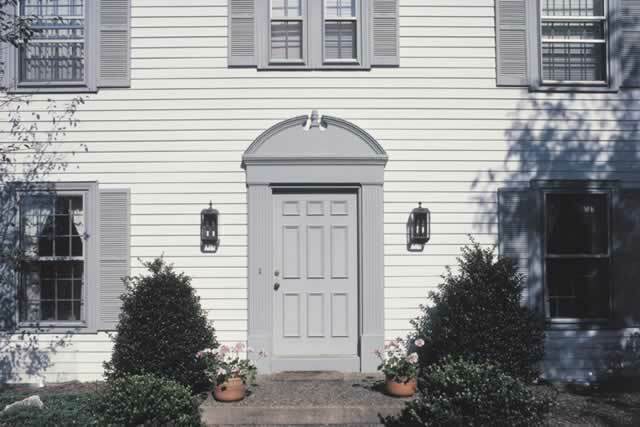 Panel doors have been around since colonial times and they still jazz up a home. They are available in many different styles and sizes. If your home is traditional or colonial take a look at four or six panel doors, two or eight panel can provide you with a more modern look. Panel doors are available in all standard widths, and the standard heights are 6' 8" and the impressive 8'. They are available as a hollow core door which is light and inexpensive, or as a solid door in many different types of wood. Pine is a very popular wood for solid panel doors, and is very receptive to stain or paint. Many two-story homes use 8' doors on the main level and 6' 8" doors on the upper level.